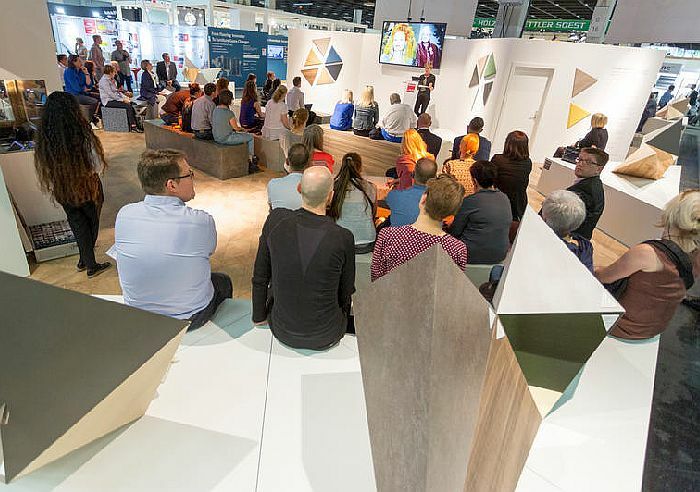 The Berlin trend forecasting agency Haute Innovation has chosen the slogan Disruptive Materials – Changing the Future for its showcase of some of the latest material innovations and disruptive technologies at Interzum 2019 (21-24 May). 24.01.2019 Innovative materials and developments in materials technology have influenced humanity since the beginnings of time. Incremental advances lead to huge changes in technology and society. If researchers and the directors of major, successful international companies can be believed, we are on the verge of the next significant change. Thanks to advances in materials research, the features and functions that will produce a new generation of products are becoming a reality. Industry can increasingly expect to see innovative materials that are lighter, thinner, more compact, more flexible or more wear-resistant. 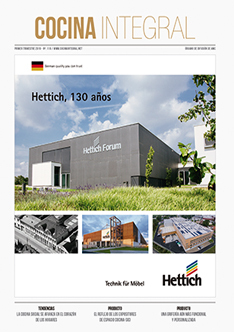 All those who want to discover the new opportunities that materials research is opening up for furniture production and interior construction should head to Interzum 2019. Dr Sascha Peters, Haute Innovation’s founder and an expert in material innovations, is curating the special exhibition and has good reasons for picking this name. It is taken from the term disruptive technologies, used in digital technology to describe innovations that replace old systems entirely. In contrast to material innovations, disruptive materials have far-reaching effects.While innovations enable the further development of an existing market, disruptions create a new one. For consumers, the effect of a disruptive change can usually only be felt some time later. In the first section, Digital Materials & Smart Systems, visitors will have a chance to view heatable textile surfaces, magnetic woods and sofas that double as carbon loudspeakers. The environmental aspect is well represented in the second section in the form of biobased materials and natural growth processes. Here Dr Sascha Peters and Koelnmesse have partnered with companies that produce leather from various plant fibres. This will be accompanied by research findings from a number of universities in fields such as Baubotanik – using plants to build living structures. The third themed area is devoted to lightweight construction and resource efficiency. Manufacturers presenting their developments in this section include Andrea Mocellin from Italy with his foldable vehicles and the German company Lightweight Solutions, which, true to its name, will be exhibiting an extremely material-efficient lightweight construction material. The fourth and final section focuses on production-related material innovations. It will shed light on future issues such as 3D-printed houses or e-bikes made from plywood. Interzum is a source of inspiration for the design of tomorrow’s living spaces, and with the Disruptive Materials Piazza, it is looking to the future.